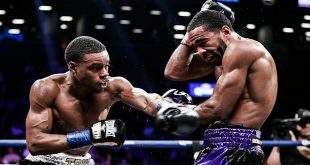 There were some big names in action last night in the states, topped off by the WBO NABO Light Welter title winning effort of Lamont Peterson, 22-0 (10), who stopped Frankie Santos, 15-4-3 (7), in the sixth round at the Hard Rock Casino in Biloxi, MS.
Also on the bill was former two weight world champion Zab Judah, 35-5 (25), who outpointed Edwin Vasquez, 22-11-2 (8), after ten rounds at welter via scores of 100-90, 98-93, 97-93. At the Soaring Eagle Casino in Mt. 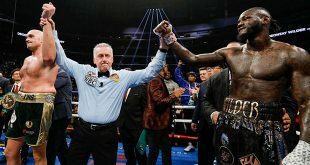 Pleasant, MI, former world heavyweight title challenger David Tua, 49-3-1 (42), continued on the comeback trail, stopping Cerrone Fox, 8-6 (8), in the second while ex-world heavyweight champion Hasim Rahman, 43-6-2 (34), also stopped his opponent in the second frame, banging out veteran Dicky Ryan, 55-10 (44). 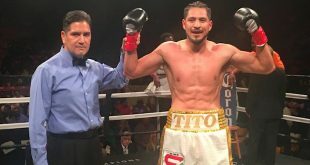 The Desert Diamond Casino in Tuscon, AZ saw bantamweight prospect Abner Mares, 14-0 (9), keep his unbeaten streak going, stopping ex-WBO Flyweight boss Isidro Garcia in the seventh to win the WBO NABO belt. At the Blue Horizon in Philadelphia, heavyweight slugger Joey Abell, 16-1 (16), knocked out Levon Warner, 6-5-2 (1), in the first.